Organisations uncertain why their email marketing is not ‘working’ can now turn to Plan to Engage (www.plantoengage.com) for practical advice, tailored to their specific needs, to maximise the potential of the medium. The new European consultancy combines the strengths of email marketing veterans Kath Pay and Tamara Gielen who will help enterprises struggling with the increasing choice and complexity of digital marketing channels. 72% of respondents to an Econsultancy survey in early 2011 described email’s ROI as excellent or good. Only organic SEO scored better. Direct Marketing Association research reports that email marketing was expected to generate an ROI of $42.08 for every dollar spent on it in 2010. A 2010 report on the effectiveness of social media by customer satisfaction analytics company, ForeSee, found that promotional emails were the second biggest influence on retail website visits. (The biggest influence was familiarity with the brand). Plan to Engage will provide a range of services including: getting enterprises started with their first email marketing campaign; helping them to grow their opt-in email address lists; advising on email content and frequency planning; and tackling the ongoing industry issue of email deliverability. In addition it will offer tailored training and coaching programmes so that organisations can learn how to effectively integrate email into their marketing mix, and stay on top of current trends. Vendor independent, Plan to Engage will also advise organisations on selecting the email technology that is right for them. Working with both B2B and B2C brands, Plan to Engage will ensure that email is part of a holistic marketing plan. It will advise clients on how to effectively use email at key points in the customer buying cycle, how to make the best use of social media as a force multiplier to spread the message to a wider audience and how to make sure messages are delivered and rendered correctly on mobile devices. In addition, Plan to Engage will also ensure that all parts of a campaign are optimised to drive maximum conversion, including landing pages and web forms. 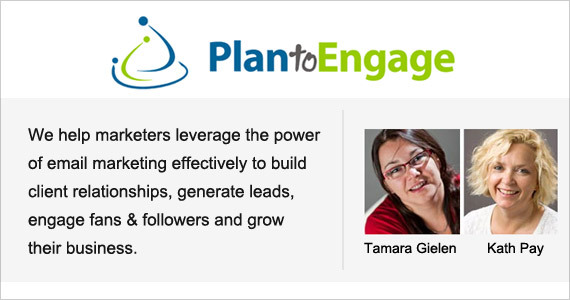 Tamara Gielen has over 10 years of experience in online, email and direct marketing. She is the author of the leading email marketing blog Be Relevant! 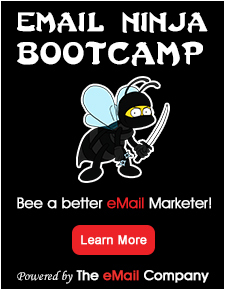 (www.b2bemailmarketing.com), the founder of an international email marketing community of 5000 members (www.emailmarketersclucb.com) and a regular speaker at international conferences. Prior to becoming an independent consultant, Tamara was responsible for the strategy, execution and analysis of the email marketing programmes at eBay and Cognos. As part of OgilvyOne and later on as an independent consultant, other clients have included Microsoft, DHL Express, Booking.com, Wizards of the Coast, NATO, and SWIFT. Kath Pay co-founded Ezemail, one of the pioneers of the email marketing industry in Australia in 2001, and expanded it into a global organisation in five years. In the twelve years that she has worked in the sector both as an ESP and as digital and email marketing consultant, Kath has played an integral part in making email marketing the successful channel that it is today, not only in the UK but also in Europe and the USA.